system is similar to its analog counterpart. However, the signal processing is done by digital computers and the pilot literally can "fly-via-computer". This increases flexibility as the digital computers can receive input from any aircraft sensor. It also increases electronic stability, because the system is less dependent on the values of critical electrical components in an analog controller. The computers "read" position and force inputs from the pilot's controls and aircraft sensors. They solve differential equations to determine the appropriate command signals that move the flight controls in order to carry out the intentions of the pilot. The programming of the digital computers to enable flight envelope protection. In this aircraft designers precisely tailor an aircraft's handling characteristics, to stay within the overall limits of what is possible given the aerodynamics and structure of the aircraft. For example, the computer in flight envelope protection mode can try to prevent the aircraft from being handled dangerously by preventing pilots from exceeding preset limits (the aircraft's envelope) such as the stall, spin or limiting G. Software can also be used to filter control inputs to avoid pilot-induced oscillation. Side-sticks, center sticks, or conventional control yokes can be used to fly such an aircraft. While the side-stick offers the advantages of being lighter, mechanically simpler, and unobtrusive, Boeing considered the lack of visual feedback from the side-stick a problem, and so uses conventional yokes in the 777 and the upcoming 787. The Airbus series have used side-sticks extensively, and the new A380 super-jumbo uses them. In fighter aircraft, such the F-16 Falcon, the side-stick is smaller. As the computers continuously "fly" the aircraft, pilot workload can be reduced. It is now possible to fly aircraft that have relaxed stability. The primary benefit for military aircraft is more maneuverable flight performance and so-called "carefree handling" because stalling, spinning and other undesirables can be prevented. Digital flight control systems enable inherently unstable aircraft such as Lockheed Martin F-117 Nighthawk to fly. 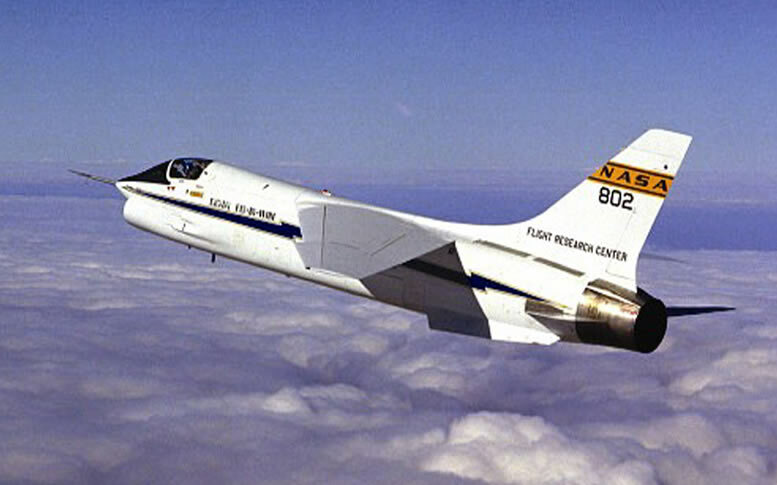 A modified NASA F-8C Crusader was the first digital fly-by-wire aircraft, in 1972, mirrored in the USSR by the Sukhoi T-4. At about the same time, in the UK a trainer version of the Hawker Hunter fighter was modified at the Farnborough research center with FBW controls in the right seat, the left seat being for a safety pilot with conventional controls and an FBW cut-out. The US Space Shuttle has digital fly-by-wire controls, first used in free-flight Approach and Landing Tests in 1977. 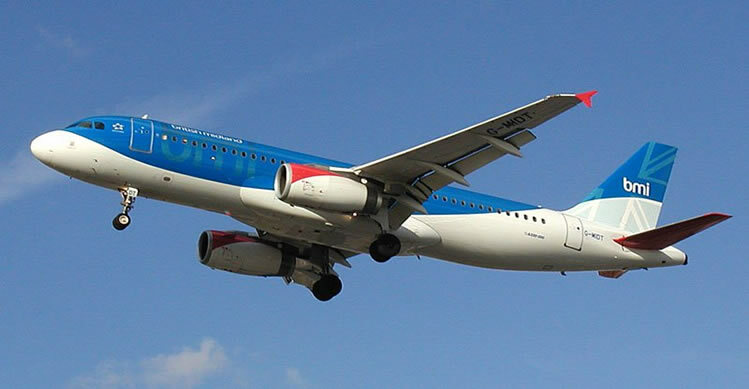 In 1984, the Airbus A320 was the first airliner with digital fly-by-wire controls. 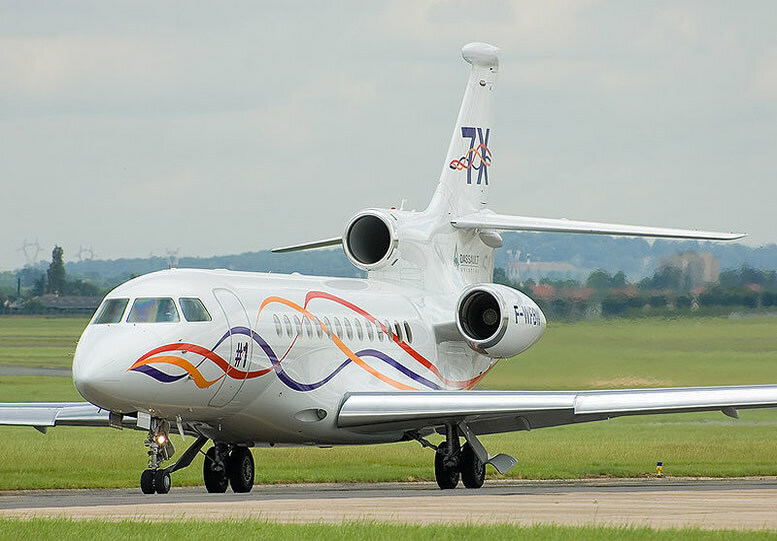 In 2005, the Dassault Falcon 7X was the first business jet with fly-by-wire controls. On military aircraft, fly-by-wire improves combat survivability because it avoids hydraulic failure. A common reason behind the loss of military aircraft in combat is damage causing hydraulic leaks leading to loss of control. Most military aircraft have several completely redundant hydraulic systems, but hydraulic lines are often routed together, and can be damaged together. With a fly-by-wire system, wires can be more flexibly routed, are easier to protect and less susceptible to damage than hydraulic lines. The Federal Aviation Administration (FAA) of the United States adopted the RTCA/DO-178B, titled "Software Considerations in Airborne Systems and Equipment Certification", as the certification standard for aviation software. Any safety-critical component in a digital fly-by-wire system including control laws and the operating system will have to be certified to DO-178B Level A, which is applicable for potentially catastrophic failures. Nonetheless the top concern for computerized, digital fly-by-wire systems is reliability, even more so than for analog systems. This is because a computer running software is often the only control path between the pilot and control surfaces. If the computer software crashes, the pilot may not be able to control the aircraft. Therefore virtually all fly-by-wire systems are triply or quadruply redundant: they have three or four computers in parallel, and three or four separate wires to each control surface. If one or two computers crash, the others continue working. In addition most early digital fly-by-wire aircraft also had an analog electric, mechanical or hydraulic backup control system. The Space Shuttle has, in addition to the redundant set of computers running the primary software, a backup computer running a separately developed, reduced function system that can take over in the event of a fault that affects all of the computers in the redundant set. This is intended to reduce the risk of total failure due to a generic software fault. For airliners, redundancy improves safety, but fly-by-wire also improves economy because the elimination of heavy mechanical items reduces weight. Boeing and Airbus differ in their FBW philosophies. In Airbus aircraft, the flight envelope protection always retains ultimate control and will not permit the pilot to fly outside the normal flight envelope. In a Boeing 777, the pilot can override the system, allowing the aircraft to be flown outside this envelope in emergencies. The pattern started by the Airbus A320 has been continued with the Airbus family and the Boeing 777. The advent of FADEC (Full Authority Digital Engine Control) engines permits operation of the flight control systems and autothrottles for the engines to be fully integrated. On modern military aircraft other systems such as autostabilization, navigation, radar and weapons system are all integrated with the flight control systems. FADEC allows maximum performance to be extracted from the aircraft without fear of engine misoperation, aircraft damage or high pilot workloads. In the civil field, the integration increases flight safety and economy. The Airbus A320 and its fly-by-wire brethren are protected from low-speed stall by flight envelope protection. As a result, in such conditions, the flight control systems commands the engines to increase thrust without pilot intervention. In economy cruise modes, the flight control systems adjust the throttles and fuel tank selections more precisely than all but the most skillful pilots. FADEC reduces rudder drag needed to compensate for sideways flight from unbalanced engine thrust. On the A330/A340 family, fuel is transferred between the main (wing and center fuselage) tanks and a fuel tank in the horizontal stabilizer, in order to optimize the aircraft's center of gravity during cruise flight. The fuel management controls keep the aircraft's center of gravity accurately trimmed with fuel weight, rather than drag-inducing aerodynamic trims in the elevators. Fly-by-optics is sometimes used instead of fly-by-wire because it can transfer data at higher speeds, and it is immune to electromagnetic interference. In most cases, the cables are just changed from electrical to fiber optic cables. Sometimes it is referred to as "Fly-by-light" due to its use of Fiber Optics. The data generated by the software and interpreted by the controller remain the same. Having eliminated the mechanical circuits in fly-by-wire flight control systems, the next step is to eliminate the bulky and heavy hydraulic circuits. The hydraulic circuit is replaced by an electrical power circuit. The power circuits power electrical or self-contained electrohydraulic actuators that are controlled by the digital flight control computers. All benefits of digital fly-by-wire are retained. The biggest benefits are weight savings, the possibility of redundant power circuits and tighter integration between the aircraft flight control systems and its avionics systems. The absence of hydraulics greatly reduces maintenance costs. This system is used in the Lockheed Martin F-35 and in Airbus A380 backup flight controls. The Boeing 787 will also incorporate some electrically operated flight controls (spoilers and horizontal stabilizer), which will remain operational with either a total hydraulics failure and/or flight control computer failure. A newer flight control system, called Intelligent Flight Control System (IFCS), is an extension of modern digital fly-by-wire flight control systems. The aim is to intelligently compensate for aircraft damage and failure during flight, such as automatically using engine thrust and other avionics to compensate for severe failures such as loss of hydraulics, loss of rudder, loss of ailerons, loss of an engine, etc. Several demonstrations were made on a flight simulator where a Cessna-trained small-aircraft pilot successfully landed a heavily-damaged full-size concept jet, without prior experience with large-body jet aircraft. This development is being spearheaded by NASA Dryden Flight Research Center. It is reported that enhancements are mostly software upgrades to existing fully computerized digital fly-by-wire flight control systems.